Maryland has some of the toughest gun laws in the country, and concealed carry licenses nearly impossible to obtain. A law abiding citizen basically has to prove that he or she has a legitimate need to carry a gun to even be considered for a carry license, and a large percentage of applications are denied. Many people, especially out of state residents, carry or transport firearms within the state illegally without even knowing it, and others know full well they are breaking the law but do it anyway. Either way, the strict laws on who can carry or transport a firearm and how they must legally do it make simple gun possession an extremely common offense in our state. But the strict laws don’t always mean harsh sentences for defendants. While some jurisdictions place a particularly high level of scrutiny on gun cases, most treat these cases like any other. And there are plenty of pro gun judges that decline handing down sentences that fall in line with the state legislature’s overzealous intent. However, under the current administration the federal government has continued to place an emphasis on vigorously prosecuting gun cases, especially cases involving illegal possession by a convicted felon. Most people would associate federal criminal prosecutions with charges such as drug trafficking, fraud, money laundering, racketeering, and perhaps white-collar offenses, complex theft schemes, and crimes committed in multiple states. But the U.S. Attorney’s Office in Baltimore City has shown a willingness to get down and dirty in prosecuting simple firearms cases that involve one defendant and one gun. The feds are not too busy to make sure convicted felons possessing guns in Baltimore see the inside of a jail cell, and they know the only way to accomplish this may be to to make sure it’s a federal jail. Federal prosecutors in Baltimore have been inclined to take cases from city prosecutors, often sending letters offering their services. And when they take a case out of state court it usually means bad news for the defendant. State law provides a fifteen-year maximum penalty for a felon or other disqualified person in possession of a firearm, and if the disqualifying offense was within 5 years then a minimum mandatory prison sentence may apply. Defendants in state court rarely receive anywhere near the maximum jail sentence, and rightly so. In most of these cases the defendant is only disqualified from possessing a firearm due to street level drug offenses that have no business being classified as felonies. But in federal court a defendant in an unlawful gun possession case is far more likely to serve serious prison time, and two recent cases support that contention. 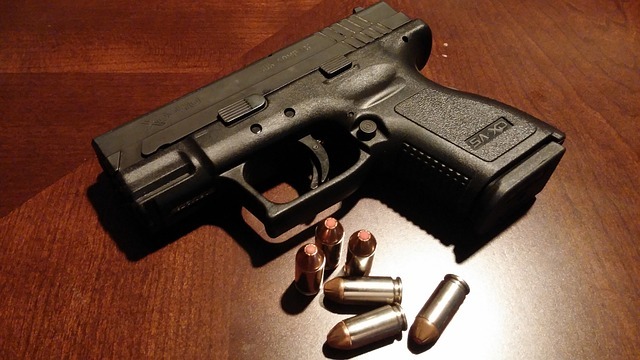 The U.S. Attorney’s Office recently announced that a 28-year old Baltimore man was sentenced to 15 years in prison for possessing a loaded .45 caliber handgun. The man never brandished the handgun or used it in the commission of another offense, but rather threw it in an alley as he allegedly ran from city police officers. And just one day before that case another man pled guilty to possession of a stolen gun in the same federal court downtown. This man was also prohibited from possessing a firearm due to previous felony convictions, and is due to be sentenced in the coming months. He too could face a lengthy prison sentence, although it won’t be the 15 years his younger counterpart received. The Blog will continue to follow the federal government’s prosecution of gun possession cases, as we may see a shift when the new administration takes over in January. 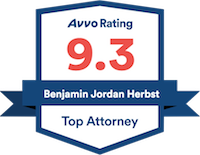 Benjamin Herbst is a Maryland gun charge lawyer who handles wear transport carry cases as well as felon in possession of a firearm in state and federal court. Contact Benjamin for a free consultation anytime at 410-207-2598. Baltimore Felon Pleads Guilty and is Sentenced to 15 Years in Federal Prison for Illegal Possession of a Gun, www.justice.gov.